Rupert has represented parties as sole counsel in multi-track commercial, contentious probate, High Court Chancery, and Court of Appeal cases. His commercial experience includes being instructed both to undertake advisory work and to appear on behalf of applicants and respondents in Employment Tribunal hearings and in corporate insolvency proceedings. Additionally he has advised on disputes involving conflict of laws and has conducted cases with cases in which both jurisdiction and the choice of laws have been in issue. Rupert read law at Emmanuel College Cambridge and went on to be an Inner Temple Exhibitioner before joining East Anglian Chambers in 2009. 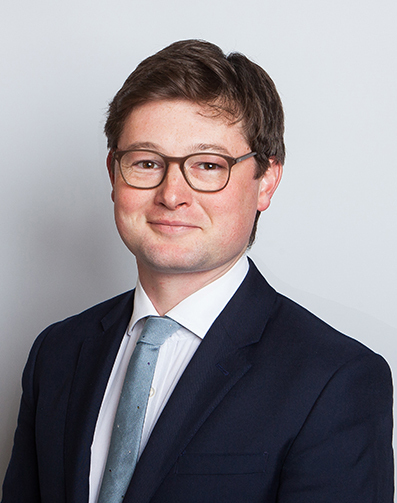 Specialising in contract and commercial disputes, employment law, insolvency and personal injury claims, Rupert routinely appears for claimants and defendants in the County Court, Employment Tribunals, insolvency proceedings in the Rolls Building and is regularly instructed to provide advice in these fields. He has also appeared in a number of regulatory cases before the First-tier Tribunals, and the Magistrates and Crown Court. Before becoming a barrister Rupert debated for Inner Temple and Cambridge University in national and international competitions, and spent time at law firms in Tokyo (Linklaters) and Sydney (Allens Arthur Robinson). Rupert has appeared as a legal pundit on BBC 1, ITV Anglia, Channel Five and Sky News. His writing on the legal system has been published in The Lawyer, The Times, The Telegraph, The Independent and The Guardian. Rupert grew up in East Anglia, and was a scholar at Woodbridge School. In his spare time he is a reservist in the British Army.